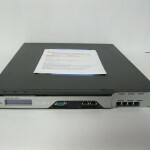 This is a Citrix MPX 5500 Netscaler Application Switch. The Model MPX 5500 is a single dual-core processor, 1U appliance that ships with 4 gigabytes (GB) of memory. 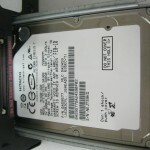 The appliance supports up to 5,000 concurrent users. One RS232 serial console port. Two 10/100/1000Base-T copper Ethernet management ports, numbered 0/1 and 0/2 from left to right. 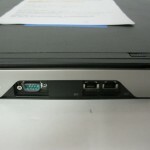 You can use these ports to connect directly to the appliance to enable system administration functions. Four 10/100/1000Base-T copper Ethernet ports numbered 1/1, 1/2, 1/3, and 1/4 from left to right. 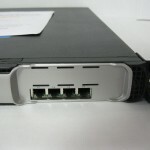 This entry was posted in Citrix MPX 5500 Netscaler Application Switch and tagged 4 GB, Citrix, Ethernet ports, HTE723232L9A300, MPX 5500, Netscaler, Netscaler Application Switch, northwest remarketing, northwestremarketing.com on January 3, 2013 by nwrusa.